Thank you for checking out the AABA newsletter. This month, our tireless volunteers have given their invaluable time and attention to make sure that this newsletter is as interesting to read as the events themselves. As we are hopefully enjoying the summer lull (as briefly as it may be), I would encourage all of us to take advantage of the down time to think about why we do what we do. In this always-on, client-oriented industry that we operate in, it’s easy to lose sight of why we do what we do in the first place. All of us have our own obligations and our own priorities. As we lose sleep preparing for that important case, or as we begrudgingly go to the office on Saturdays, we should take some time to think about why we make these choices – did I come to the office instead of the soccer practice because I think I am making a difference in the world? Or have I started checking my emails incessantly because I have become bored with the present? Indeed, it’s not uncommon to hear stories of our colleagues who have become so consumed by work to the detriment of their personal lives, their families, or even their own health. A daily reminder of why we do what we do is also a good way to prioritize the things you do and to diagnose and course-correct for when you have forgotten the reason we do things. As AABA president, I ask my team to think about ways to bring value to the AABA membership. I also ask my team to think hard about what AABA can do for them and why they are volunteering their time organizing events or writing up newsletter articles. 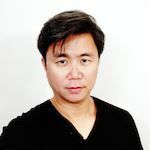 I ask these questions because I believe that we all have our reasons for spending the time and being involved with AABA, and everything we do should further those reasons. If our actions no longer further our reasons, then we need to re-evaluate our actions. This applies to easy choices of whether I need six hours or four hours of sleep, to harder choices of whether I should skip that piano recital again. If you are like me, you stay involved because you love the community and you are paying forward to make the community better and stronger than when you first joined. If you are like me, then everything you do should help to improve the community. May we all have the conviction to stay true to our course and the courage to change directions when we have stray too far. Enjoy the rest of your summer! hosted its 29th annual Summer Diversity Reception on June 16, 2016 at Fang Restaurant in San Francisco. The Reception’s purpose is to connect law students, recent graduates, and attorneys to build relationships and mentorship opportunities. The Reception is one of AABA’s most popular and well-attended events, and this year’s event welcomed over 100 attorneys, law students, and summer associates. AABA opened the Reception by recognizing and toasting recently elevated Asian Pacific Islander (API) partners. The Community Services Committee also recognized the recipient of the 2016 AABA Summer Grant. These grants are awarded each year to exceptional law students for their achievements and commitment to serving the Asian American community. Masao Ito Taylor, a rising 3L at UC Davis Law with a passion for immigrant rights, was awarded the grant for his dedication to the API community. 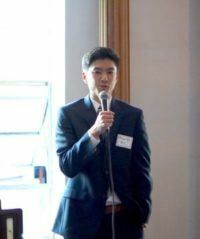 With this grant, Masao will be dedicating his summer as a law clerk with the Asian Law Caucus’ Immigrant Rights program. The Reception was coordinated by AABA’s Employment Committee Co-Chairs Angel Garrett, Andrea Loh, and David Wang and Committee Members Jenny Jin, Svetlana Kristal, Alston Lew, Diana Lin, Betty Mac, Patricia Swen, Jennifer Truong, and Jason Yee. This year’s Reception was made possible by a generous donation from Munger, Tolles & Olson LLP, the official corporate sponsor, and individual contributions from Bay Area API partners. As an organization AABA is dedicated to supporting the professional growth of its members and developing relationships with the community. We appreciate your continued support and look forward to your attendance at future events. On June 9, 2016, AABA teamed up with the Iranian American Bar Association and the South Asian Bar Association to host a joint mixer at O3. The event was a huge success with a packed bar and lots of new friendships. Thanks to Shawn Matloob for inviting many of our attendees. On June 28, 2016, over 60 attorneys gathered to hear insights from a distinguished panel of speakers at AABA’s “Race in Trials” CLE event. The panel featured Jeff Adachi (San Francisco Public Defender), Wade Chow (Assistant Chief District Attorney), and Wilson Leung (former Assistant U.S. Attorney), and was moderated by John Hamasaki, Esq. Each panelist shared insights about current events involving race and the criminal justice system. The panel also commented on recent court decisions regarding racial bias in jury selection, as well as other racial considerations that arise in the trial setting. Attendees not only heard helpful information, but also received free Elimination of Bias MCLE credit (a benefit of AABA membership!). Also, during lively networking sessions before and after the presentation, attendees were able to meet with the distinguished panel members. AABA thanks Hogan Lovells LLP for sponsoring this panel and providing the venue for this event. On August 18, 2016, over 25 attorneys gathered to hear insights from a distinguished panel of speakers at AABA’s “What the Defend Trade Secrets Act Means for the Future of Trade Secret Law” CLE event. The panel featured Miriam Kim (Partner at Munger, Tolles & Olson), Michael Ng (Partner at Kobre & Kim), and David Almeling (Partner at O’Melveny & Meyers), and was moderated by Helen Y. Trac (Associate at Hogan Lovells). Each panelist shared insights on Congress’s recent enactment of the Defend Trade Secrets Act (DTSA). While trade secret actions were traditionally governed by state law, the DTSA creates a new federal private right of action for trade secret misappropriations. The panel also discussed the key provisions of the DTSA and the DTSA’s likely impact on technology, employment, and trade secret litigation. Attendees not only heard helpful information, but also received free MCLE credit (a benefit of AABA membership!). Also, during lively networking sessions before and after the presentation, attendees were able to meet with the distinguished panel members. AABA thanks Arnold & Porter for sponsoring this panel and providing the venue for this event. On Thursday, June 23, 2016, the AABA Solo & Small Firm Committee held its kickoff networking mixer at Sky Lounge in downtown San Mateo. 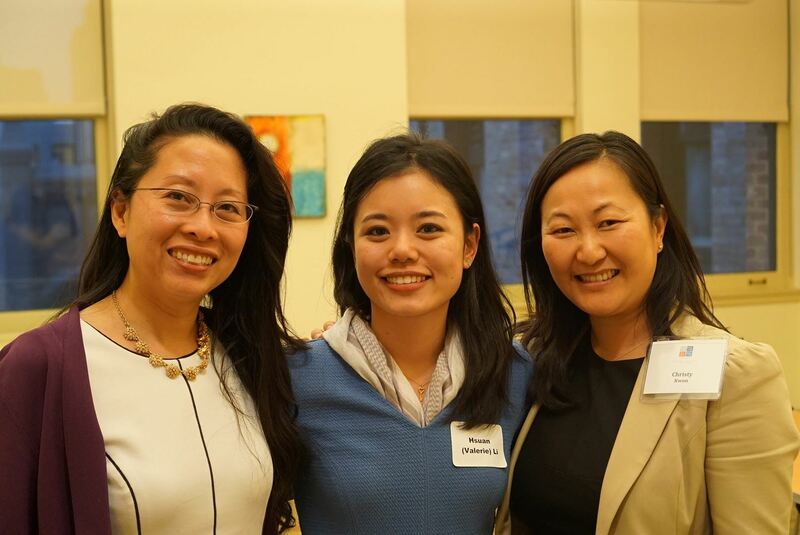 This event was co-sponsored by Judicata, Inc. and the Asian Pacific American Bar Association of Silicon Valley. The venue was packed with over 50 guests in attendance! The evening attracted a diverse crowd of new and experienced attorneys, law students, and legal support providers. AABA guests caught up with old friends and connected with new ones at the happy hour. New members learned about the Committee’s work supporting the unique needs of solo and small firm practitioners through social events, an active online LISTSERV and referral service, and CLE programs. For more information on future Solo & Small Firm Committee events and to join the LISTSERV, please contact Sean Tamura at seant@minamitamaki.com. AABA looks forward to hosting more events on the Peninsula in the future! AABA’s Civil Rights Committee held their annual Social Justice Attorney Mixer on Tuesday, July 26, 2016 featuring a panel discussion on race, police brutality, and interracial community building lead by Prof. Bill Hing, Prof. Edward Chang, Saira Hussain, Alex Tom and Tel Cary-Sadler at Farella Braun + Martel LLP in San Francisco. There were 75 people in attendance. for GoPro, along with several members of their legal group stopped by to greet and welcome the attendees to GoPro Headquarters. The next luncheon will be held on October 11, 2016 at Gap Headquarters (San Francisco). Registration will be limited, so please RSVP early so that we can confirm attendance. Priority will be given to AABA members who are in-house counsel. To RSVP, you may click here or go to the AABA website for more information. On Sunday, July 31st, the AABA Community Services Committee (CSC) returned to the San Francisco Food Bank for our annual community service event to pack food for families in need. An exceptional group of volunteers represented AABA at the Food Bank. In two hours of hard work, AABA volunteers helped box over 22,000 pounds of oranges. Hunger in the San Francisco Bay Area is real. One in four people in San Francisco and Marin cannot afford all of the food they need. Each year, SF Food Bank volunteers help to package 46 million pounds of food that is distributed to food pantries throughout San Francisco and Marin. The food pantry patrons obtain food in a farmers’ market-style environment that respects the dignity and the right of people to have access to healthy food. Twenty-one AABA members, law students, attorneys, friends, and family joined together to help build boxes and carefully sorted and packed oranges donated by growers, manufacturers and grocers throughout California for distribution to needy families. All of their hard work helped contribute to the millions of pounds of food distributed by the Food Bank annually, enough for more than 100,000 meals each and every day. After completing their volunteer shift, AABA volunteers trekked to Goat Hill Pizza to relax, reconnect, and make new friends. Many of the new volunteers expressed their intent to become more active in AABA. 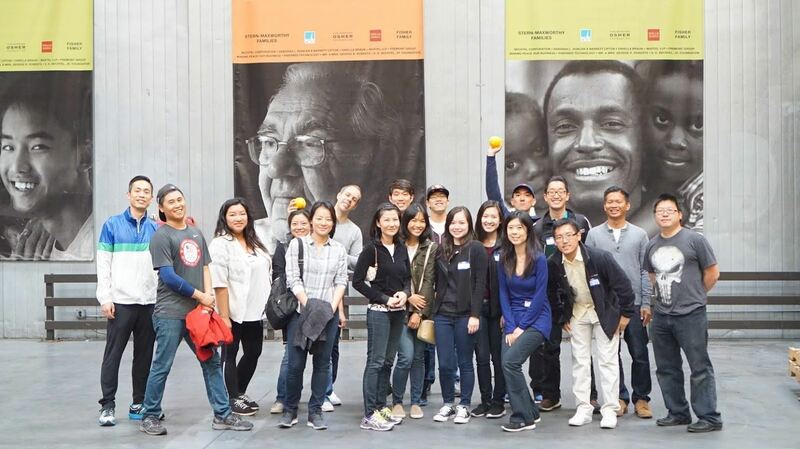 The AABA Community Services Committee serves the greater community through pro bono legal clinics and service activities like the San Francisco Food Bank and Preschool Beautification Projects. If you are interested in becoming more involved, please join the AABA Community Services Facebook Group Page or contact any of the CSC Co-Chairs: Claire Y. Choo (claire.y.choo@gmail.com), Stephen Chong (stephen@stchong-law.com), and Pamela Chung (Pamela.chung.law@gmail.com).